Antique finish. Solid sterling silver. Weight: 2.7 grams. Measures 7/8 inch tall by 3/4 inch wide without bail. This item is the size of a nickel. 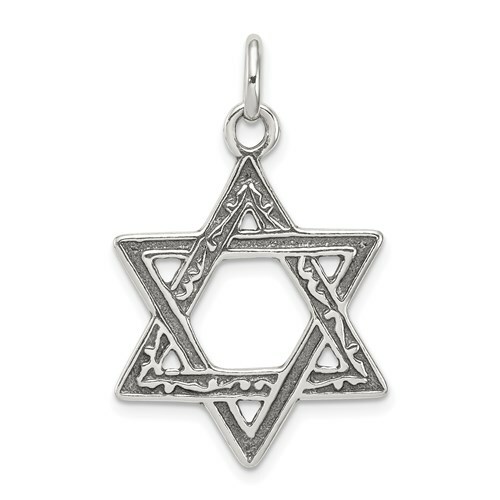 The six-pointed star is the central symbol for Judaism. Made in India.